Taken from Blue Sky Alpacas Pattern - Traveler's Series: "The amazing texture of the pangolin stitch is engaging to knit and dramatic to wear." 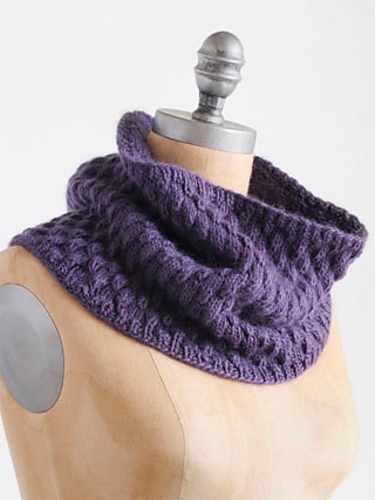 This pattern is from Blue Sky Alpacas Pattern - Traveler's Series - Pangolin Cowl. Size US 7 - 24" circular needles (or size needed to obtain gauge) and stitch markers are required but not included. Gauge: 31 sts and 26 rows over 4".